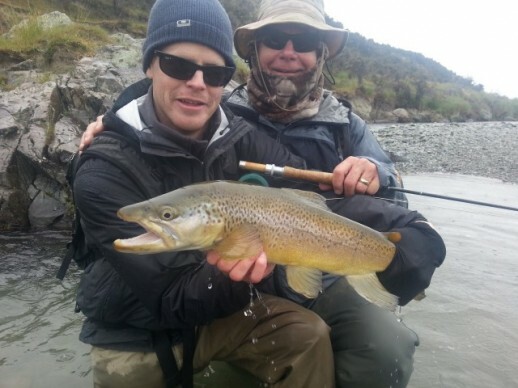 All the Fly Fishing Expeditions in this section are based in the lower third of South Island of New Zealand. 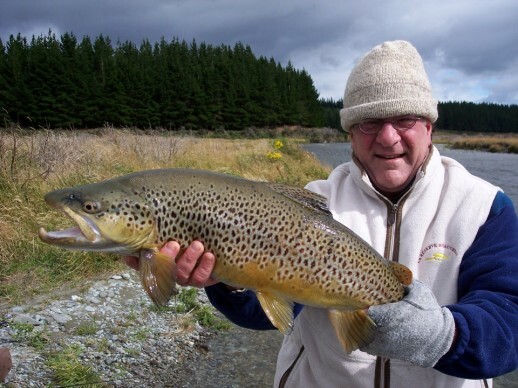 The South Island trout fishery is considered by many to be at the very pinnacle of freshwater brown trout fishing on the planet. 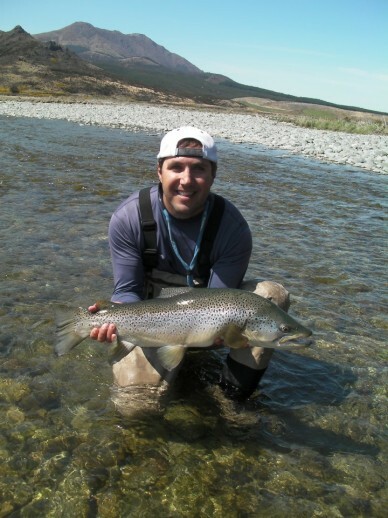 Brown trout are not the only species down south but the South Island is certainly more well known for its large, extremely wily brownies than its rainbows, salmon or kawhai. However all these make for a destination providing fly fishing expeditions par none. The brownies can and do test the skill of the best fly fishers. The patient and worthy are regularly rewarded with fine catches that will live on in memories (and often film) for the rest of their lives. 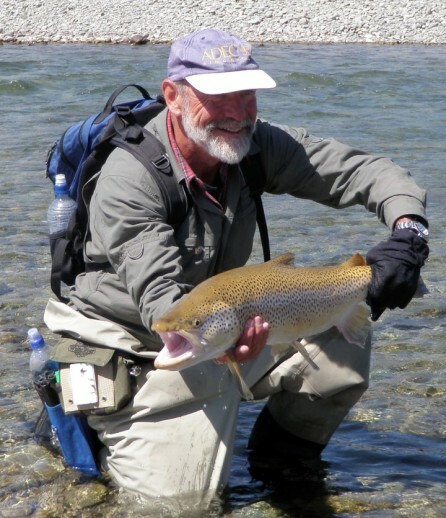 Hunting and subduing such amazing fish whilst being surrounded by the stunning beauty of the Alps, high deserts or the verdant lowland plains is a huge part of the appeal of coming to fish in the South Island of New Zealand. 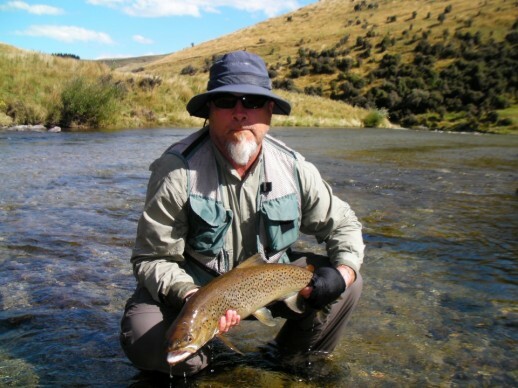 Big trout are part of the mystic of coming on a fly fishing expedition in the South Island of New Zealand. 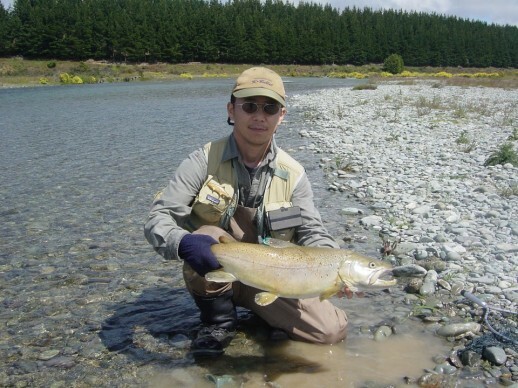 Many of the big trout that are caught during fly fishing expeditions each year in NZ are caught using sight fishing techniques where the angler is more of a hunter than fisher. 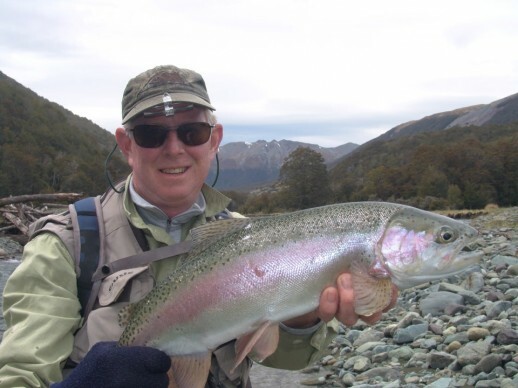 Targeting fish that are usually seen from a distance before stealthily moving into a casting position knowing that one false step, one errant presentation and the chance of a BIG NZ trout is gone. There are many variables to getting these chances in the first place . The intimate knowledge I have developed about weather conditions, river conditions, where the trout are, what they are feeding on, how to approach them, what set up to use and the right fly choice will give you these opportunities on your fly fishing expedition but I won’t stop there. 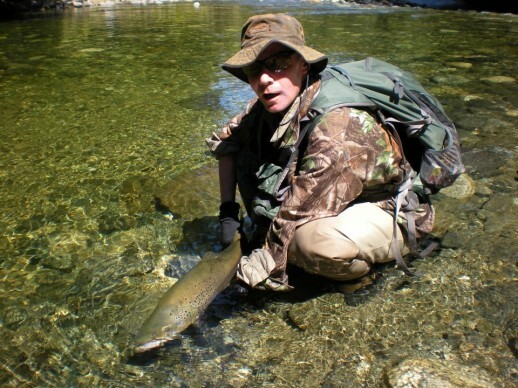 I will give you every bit of expert guidance possible to turn that opportunity into a fish to the bank and the happy memory (and the video/photo) that will live with you forever of a BIG New Zealand trout. 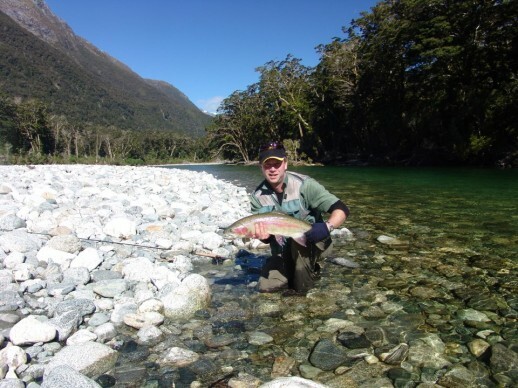 We access our many and varied fly fishing expeditions by 4WD, helicopter, boat and doing the yards or some times a combination of some of the above. Please ask for a quote if you wish to heli fly fish or use a boat to access remote fisheries during your fly fishing expeditions as additional expense will be incurred. 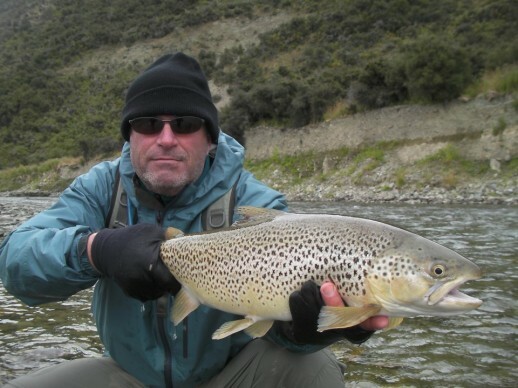 Check out my You Tube Channel to see some more great examples of New Zealand fly fishing expeditions. 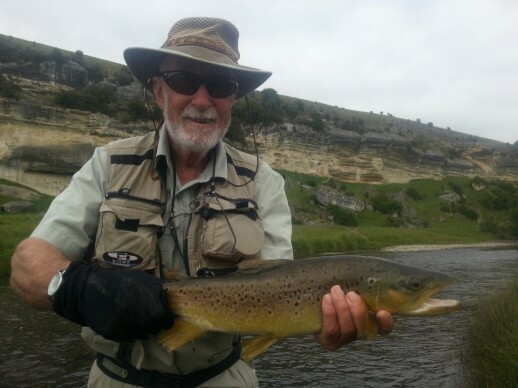 I will look forward to hearing from you and getting you into some fine fishing and big trout on your fly fishing expedition with me here in New Zealand. Please use the Inquiry and Booking page below. Please read the info on heli fishing before selecting yes. Please supply your preferred date. If multi day this would be the start date. Please state if you require Waders or not? Please state if you require Rod and Reels or not. Do You Wind Right or Left Handed? Does the 2nd angler Wind Right or Left Handed ? What is Your Wader Size? What is the Wader Size for 2nd angler? What is your Wading Boot Size? Please state your wading boot size and the country sizing, ie USA, EUR. If you do not know please put one size bigger than your normal hiking boot size along with the country sizing. What is the 2nd anglers Wading Boot Size? Please state what if any medical conditions you have. Please state if you are a vegetarian, vegan or have any food allergies. Please state your level of fly fishing experience. Please state if you have a fishing license. Please state your place accommodation for pick up and drop off. Please state flight details if I am meeting you at the Queenstown or Invercargill airport. Please let me know what your goals/aspirations are for your guided experience. Please state any additional comments you would like to make?